D: Distance between the Sun and the planet. 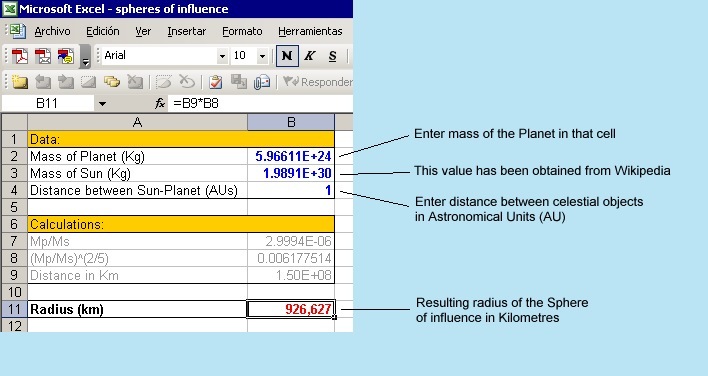 Mp: Mass of the Planet in kg. Ms: Mass of the Sun = 1.989 x 10^30 kg.